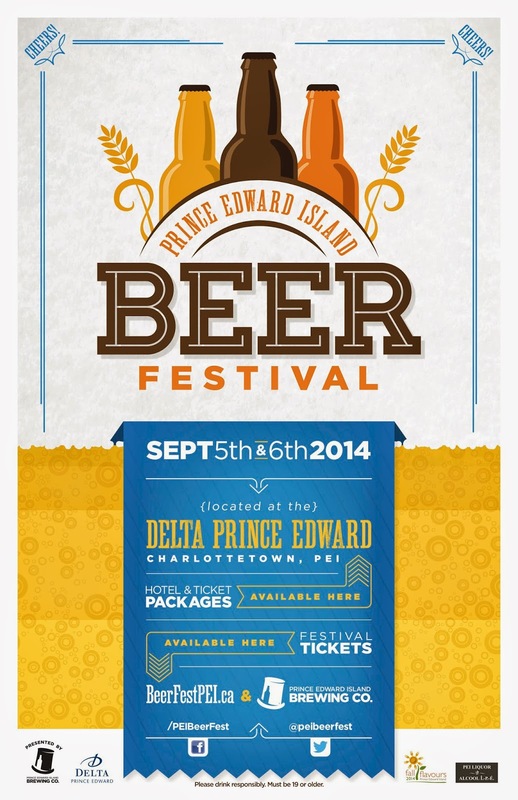 This September 5th and 6th, a Friday & Saturday, sees the PEI Beer Festival return, promising "another amazing weekend of beer tasting, food pairings and entertainment." This year, the festival will be held indoors, at the Delta Prince Edward - which, after undergoing renovations last year, is quite a nice & modern spot. Tickets go on sale tomorrow, Tuesday, August 12th, at 11:00AM at www.beerfestpei.ca as well as the PEI Brewing Company on Kensington Road. There are also fest + hotel packages available through the Delta. There are three different tasting sessions to choose from: Friday evening, Sept. 5th, Saturday afternoon, Sept 6th, and Saturday evening, Sept 6th. Afternoon sessions are $30, and evening ones are $40. Tickets include all beer samples, live entertainment, special cask contests (no clue what that is yet), games and more. Ticket prices also include a service fee and taxes, of course. I’m intrigued by these cask contests and games they speak of. Could it possibly involve tapping the keystone? It’s funny that they don’t elaborate or give any details on their web site with the event only 3 weeks away.